Multi-step mashes used to be the standard for making beer, but increasingly home brewers and pro brewers have moved to brewing exclusively with a single step mash. The single step mash has many advantages including time, cost savings, simplicity and consistency. Most newcomers to all grain and partial mash brewing start with a simple single step infusion mash. The process involves heating water to a fixed temperature slightly above your target temperature, and then adding your crushed grains. If calculated properly you will hit a mash temperature usually in the range of 148-156F. At this temperature a combination of alpha and beta amylase will break longer complex sugar chains in barley into simpler sugars that can be easily fermented. By adjusting this conversion temperature we can also affect the body of the beer. Typically this process takes anywhere from 30 to 90 minutes. A cooler or insulated pot is often used to maintain temperature though on more complex systems such as RIMS and HERMS a recirculation pump and heating element may also help maintain the temperature. At the end of the mash process we run hot water through the grain bed with some kind of filtering mechanism to extract the hot wort we’ll boil to make beer. In a multi-step mash, we make multiple stops at different temperatures along the way – typically from lowest temperature to higher until we reach our conversion temperature of 147-156F, at which we convert the sugars and lauter. In the earlier days of beer brewing, multi-step mashes were the standard, but in modern brewing have largely been abandoned. The historical reason behind multi-step mashes was to develop enzymes to help in the conversion of starches. Before malting and kilning was well understood, most malts were what we would today describe as “undermodified”. They had relatively low enzyme content as a result, and required additional steps to help enhance the enzymes. Phytase (86-126 F) – Lowers the pH of the mash slightly. Lowering the mash pH has a number of benefits, though a Phytase rest is rarely used by modern brewers, as there are alternate ways to control mash pH. Do I Need a Multi-Step Mash? 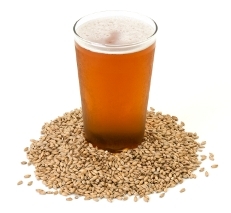 Assuming you are using a reasonable portion of modern pale malt in your beer, there is little reason for using a multi-step mash in most beers. Modern base malts have very high diastatic power (enzyme content) making the historical rests unnecessary. A single step mash will work in over 95% of the beers most brewers will brew. The only exceptions I can think of would be where you are working with a high percentage of unmalted ingredients such as uncooked cereals, unmalted wheat or a high percentage of non-traditional brewing grains. In these cases you might want to consider an appropriate rest to cook or gelatanize the cereals, or simply switch to a gelatinized/cooked alternative. For example, use torrified or flaked wheat or barley instead of raw wheat or barley. Pick cooked “quick” or instant oats instead of the uncooked kind. Pre-cooking, flaking or torrifying these unmalted cereals allows them to be used directly in a single step mash. One other trick I’ve learned when working with many German styles is to use a small addition of melanoidin malt in the place of a complex decoction or multi-step mash. This addition gives the beer a slightly malty warmth you might get from a decoction mash using a simple single infusion mash. Thanks for joining me on the BeerSmith Home Brewing Blog. Please sign up for my newsletter for weekly delivery or listen to my podcast for more great brewing tips! I recently started doing a 2 step mash, with the base malts at 145 to 148°F, for about 45 min., followed by addition of the specialty malts, and some hot water to raise the mash to about 152 to 155°F for about 20 min. before Vorlauf. Gordon Strong suggested something like this, and it seems to give excellent flavor, as well as very good extraction. I’ll keep experimenting with it. I see you’re speaking at the Philly NHC, see you there. Good article, thanks. It would be nice for those of us that live outside the US if you could also add degrees Celsius in your articles. It would save a lot of jumping backwards and forwards to conversion sites. The same would also apply to all other imperial/metric measures. I multistep mash (40* C, 50*C, and finally 65*C) by way of heat infusion with two sets of coils (one in my brew kettle and one in my mash tun). I use the water I am heating to raise the temperature of my mash and once the temperatures of multi-step are reached, I transfer the boiled water into a separate cooler for the strike water. This seems to work quite nicely for me, even though it takes a little longer to achieve (whole process for mash out is about 3-1/2 hours – boiling start to fly sparge finish). This is much to the dismay and disbelief of all the local homebrew distributors. According to them, I am just wasting my time……I beg to differ…. I realize that almost all grains are now well modified to be efficient with a single temperature mash….but it lacks the ability to control the body and profile of your beer. With multi-step infusion, I can play around with the ability to make my beer sweeter or dryer, efficiency has reached 85%, where most get around 75% (mostly due to my sparging technique – no joking) and the clarity really comes through when fermented at the optimum range of the Yeast. All this in an environment detrimental to home brewing in my garage of southern California (thank you sons of fermentation for the concept of a fermentation chiller system which is priceless). Only downside I can see, my wife not wanting me to spend all day on a brewing session, to which I say “Perfection takes time – my time”.